Double-digit number of tasting courses: Check! Ever changing menu: Check! Throw in a few touches of modernist cooking for good measure and you have the makings of a restaurant that I'm almost guaranteed to love. 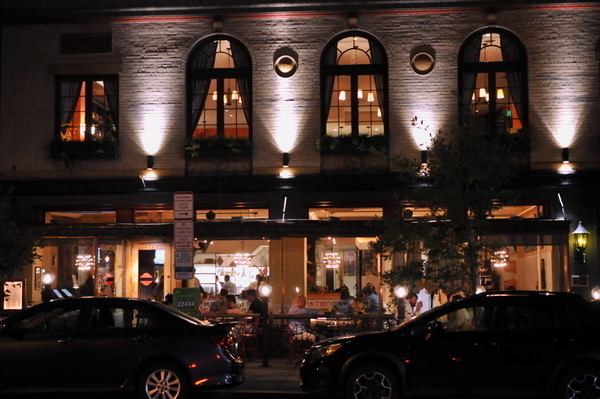 Indeed my first experience at Rogue 24 made it one of my favorite restaurants in the city. 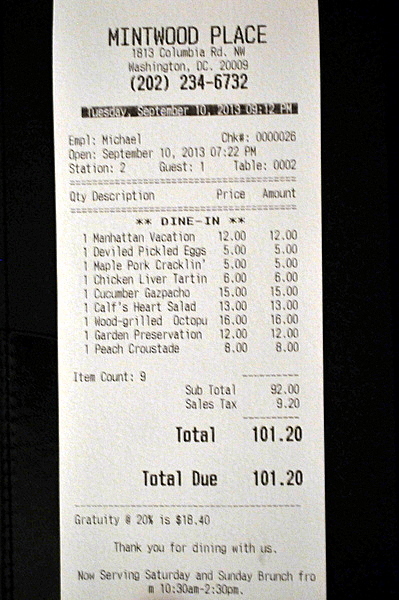 I even went back a few nights later with a co-worker to sample some of the highlights of the meal a la carte. So naturally when I found out that I would be traveling back to DC this fall I made a point to revisit Chef Cooper and the team at Rogue 24. 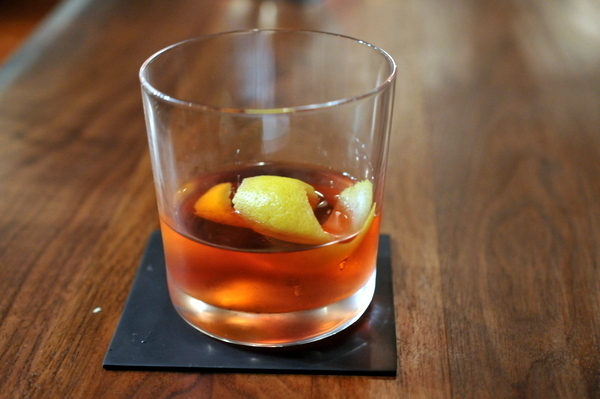 The wine pairing starts with a welcoming cocktail. 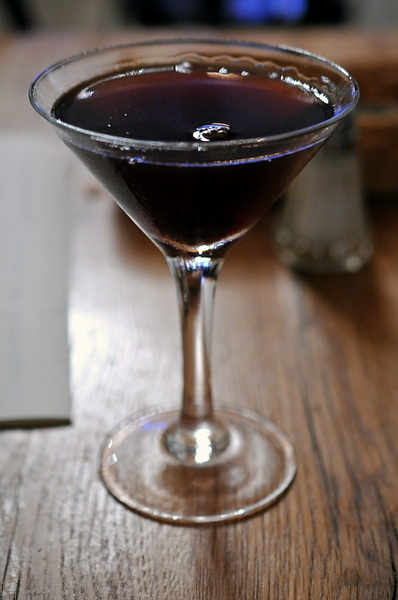 This was my first time having a Martinez a combination of gin and vermouth with a touch of maraschino which many believe to be a predecessor to the ubiquitous martini. Made with Boomsma Oude, an old-fashioned Dutch gin that is aged in oak giving it some warmth and woody character to go along with the more typical aromatics notes. Overall the cocktail was remarkably smooth and easy drinking with a citrus freshness and touch of fruitiness from the maraschino to keep the gin in check. The simple look of the meringue belied its immense complexity. 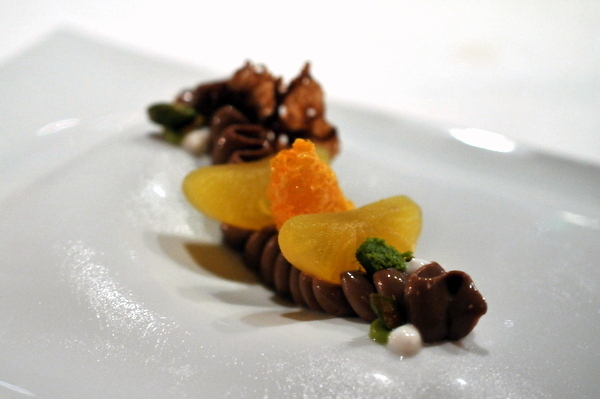 The airy crunch of the whipped confection yields a complex melange of earth and caramelized sweetness. The creamy liver filling quickly makes its presence felt with a weighty savor tinged with a faint hint of sourness from the XO vinegar. 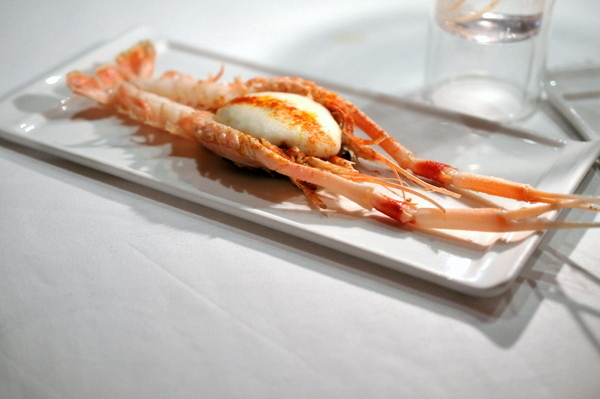 The next trio of courses came together but in my eagerness I forgot to take a picture first. The puff was the weakest of the trio. At its heart the dish is a riff on a shrimp chip with a bit of smokiness added from the trout. 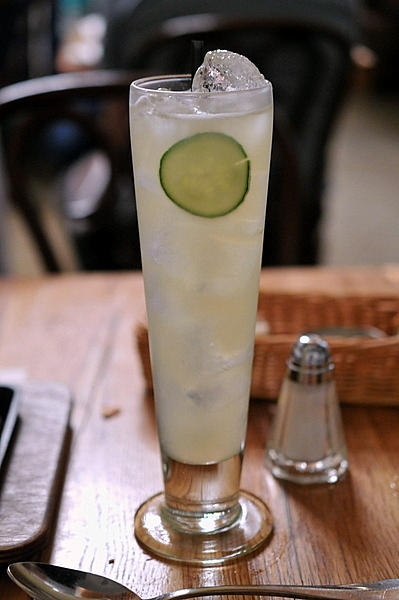 This was easily the best of the trio, the vivid brine of the Kushi is accentuated by the crisp refreshing cucumber. 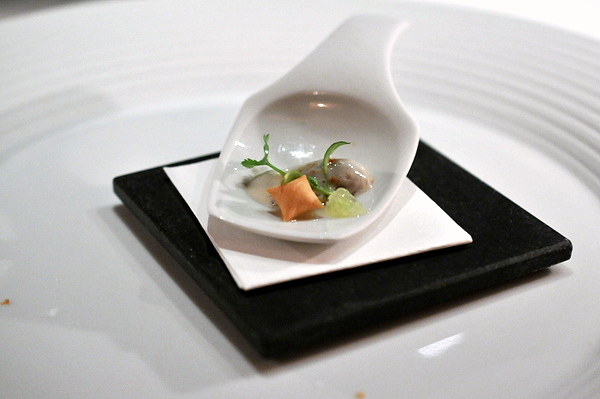 Likewise the bracing tang of the finger lime was an equally apt pairing for the supple meaty bivalve. 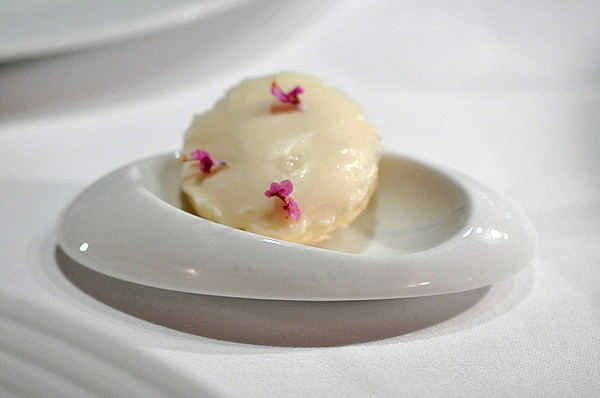 The final bite on the plate was a pine nut shortbread topped with beautiful orange pearls of arctic char roe. 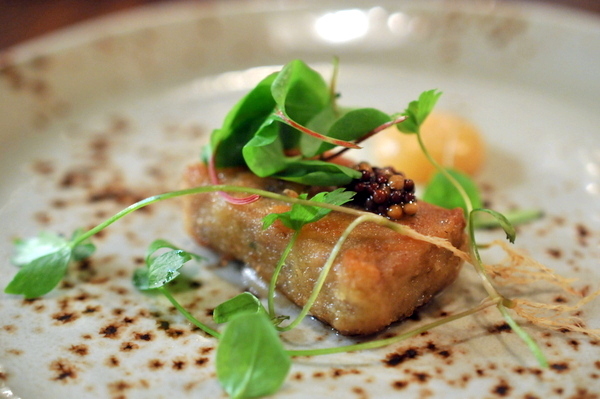 The concentrated flavor of the roe drew an unexpected sweetness out of the toasty shortbread base. 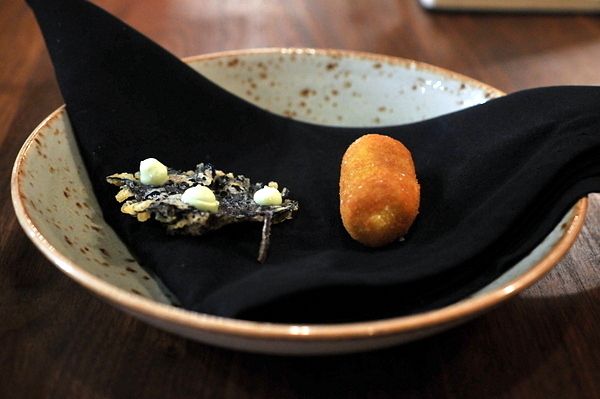 The next snacks consisted of a poutine encapsulated in a potato croquette. Though I absolutely adored the semi-liquid foie and the emphasis it brought to the clean fried savor of the exterior, the flavor profile lacked the meaty heft I consider integral in poutine. 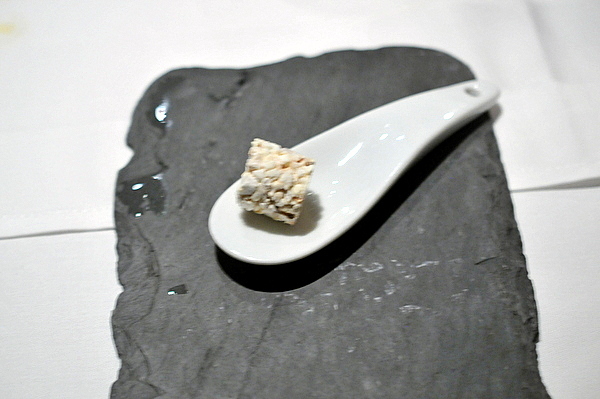 Following the croquette was a tempura shiso leaf that was supposed to serve as a palate cleanser of sorts. Topped with Vietnamese coriander aioli, the leaf had and almost fishy savor. The final snack was an unexpectedly interactive one. Chef RJ Cooper came up to my table and told me to hold up my hand and stick up my pinky. After fitting the custom designed plate to my hand he told me simply: "lick it." 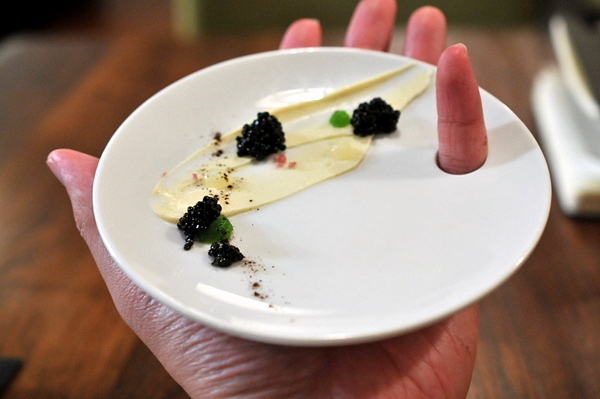 The dish is relatively simple by Rogue 24 standards but there is nothing wrong with celebrating the simple luxury of a dollop of caviar. 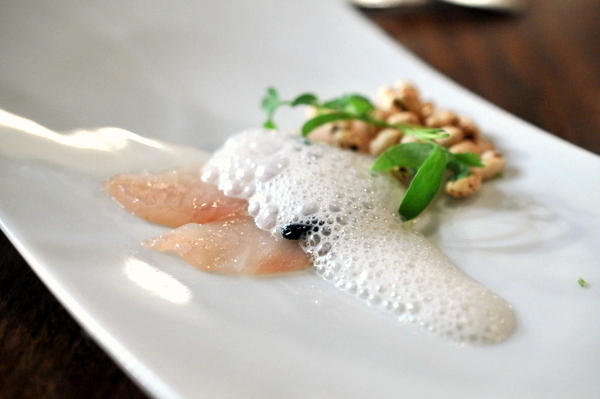 The cured hamachi showed a denser than normal texture and intrinsic salinity that is deftly complimented by the subtle herbaceousness of the micro-cilantro. The barley adds a nuanced malty note which coupled with the tropical sweetness of the coconut foam was the perfect counterbalance to the fish. The peppers make themselves known with a lingering heat that plays across the palate on the finish. 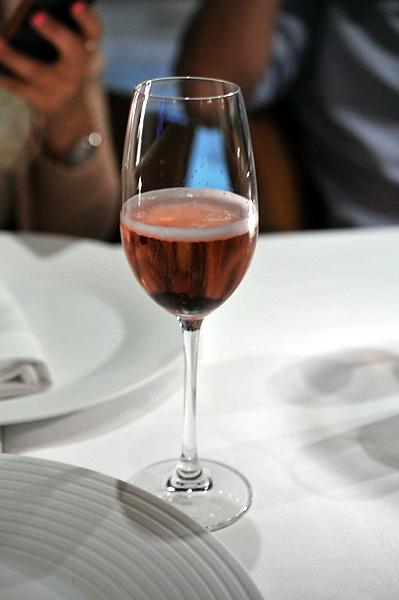 The rosé had an intense red fruit driven nose with a similarly soft profile on the palate and a gentle residual sweetness that makes it quite approachable. Dubbed "rocamole" this was as much about the supporting elements as it was the avocado. 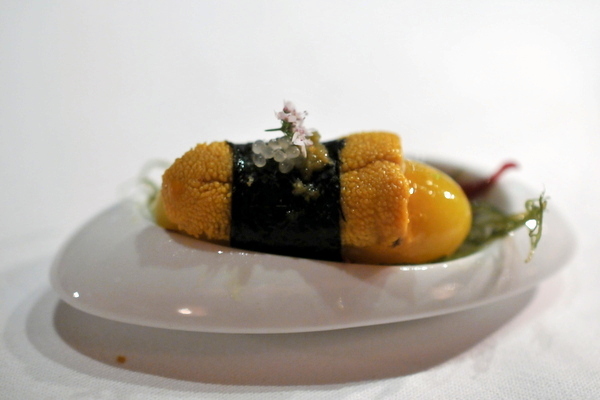 The combination is creamy with a sharp kick of acid from the citrus gel and nuanced brine from the roe and a touch of heat that lingers at the edges. 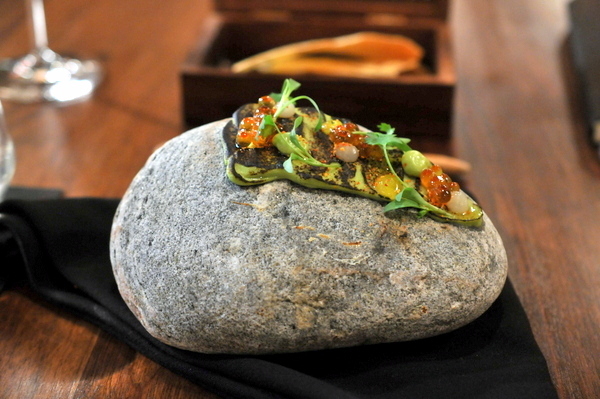 The lavash was toasty with a pronounced smoky smack that stood up nicely to the charred avocado. 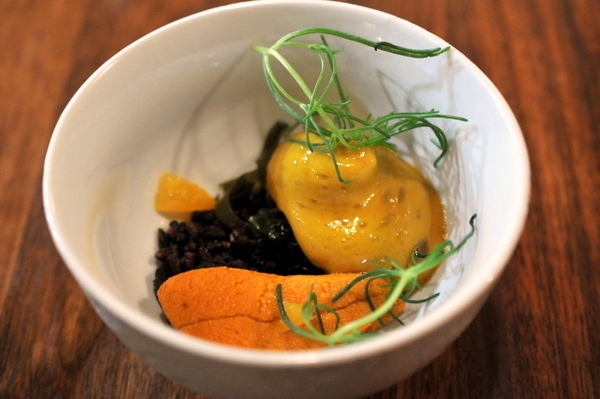 The rice, seaweed and even the orange make sense but I wasn't sure how the coffee would fare when coupled with uni, but I couldn't have been more pleased with the dish. Yes there is a touch of bitterness to the coffee but it still fits with the urchin roe; deftly highlighting its unctuous sweetness. 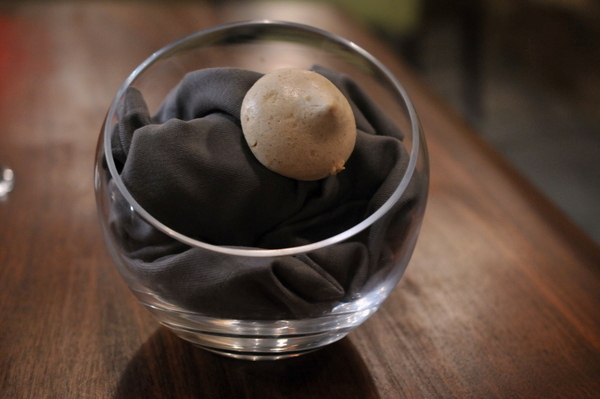 Meanwhile, the crunch of the rice offered a nice textural contrast to the softer elements in the bowl. I was offered a new pairing the restaurant was trying out and though I haven't had much luck with domestic Riesling I enjoyed this one, the nose is heavy with apple, candied fruit and a touch of petrol but there is enough acidity on the back end to cut through the slate of heavier dishes coming up. I hadn't realized how much I missed foie gras until it was available again. I love the crunch of the honeycomb crisp and the way it gradually released sweetness upon mastication rather than in a sudden burst. The ice lettuce provided a nice succulent contrast while the duck and onion reduction provided an essence of concentrated poultry. 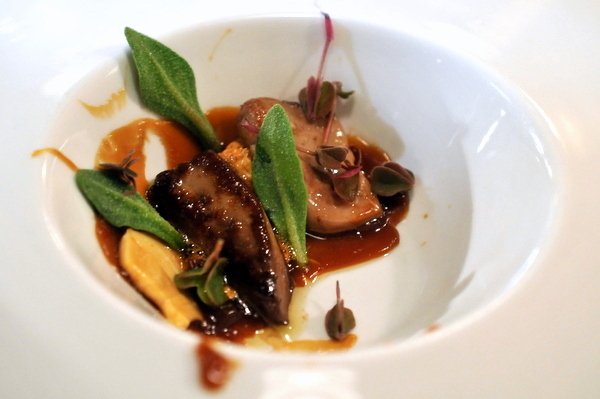 Despite all the flavors the foie was still able to shine through with a offal-y twang on the finish. Fitness buffs may want to skip this description. 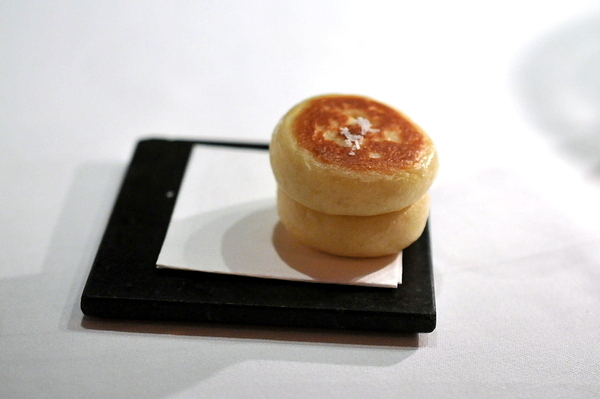 At the heart of this dish is rendered pigtail encapsulated in a golden layer of crispy sapid batter. While I'm usually cautious of overly sweet elements the peach jel was a natural pairing for the pigtails and the astringency of the bitter herbs was absolutely essential here. Cooper's lamb tartare gyro was one of the highlights of my last visit to Rogue 24 and his current version is every bit as stunning. The lamb conveys an immense savory gravitas deftly countered by the astringency of the sprouted lentils. The yeast adds a skunkiness that is off putting by itself but a natural fit for the gaminess of the lamb. I was surprised to see a beer from back home paired with this course but the Mischief worked well a golden Belgian that was fruity, dry, with just a bit of matching funk to compliment the lamb. This was probably my favorite dish of the night. 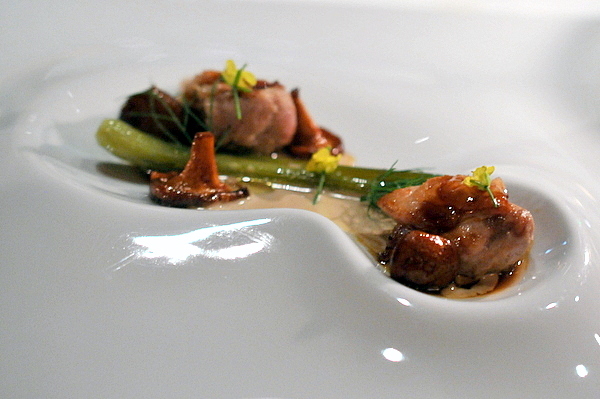 The mushroom has a resonant woody perfume compounded with an intense sense of umami. The béchamel is mixed with caramelized cippolinis giving it an almost jammy sweetness akin to onion marmalade. The spinach leaves add a vital vegetal nuance while the rice adds a lovely textural structure to the dish. Up until recently this course was served with Wagyu beef but after seeing how well the mushroom works in this dish I don't think I miss the meat one bit. 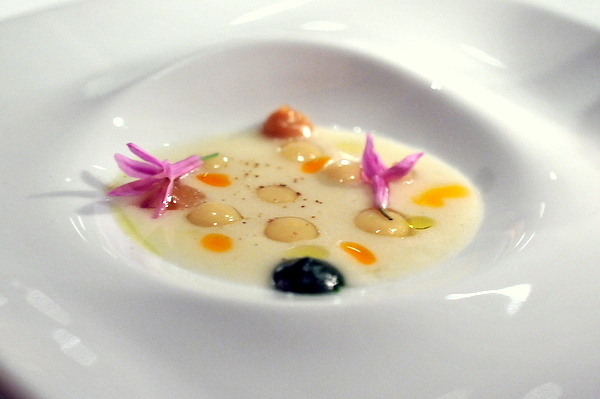 Moving onto our final savories, Chef Cooper started off with basil fed snails. The snails he served last time were the best that I'd ever tasted and while these don't quite reach such lofty heights they were delicious. On their own the snails are incredibly tender and wonderfully redolent of fresh basil. 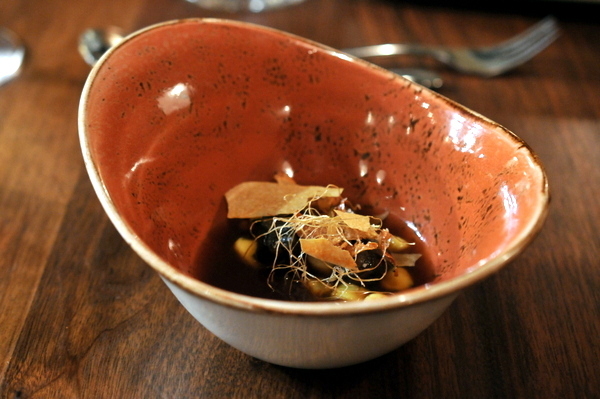 The broth was a potato skin consomme and while it deftly conveyed the flavor of potato skin I don't think it was a natural pairing for the snails. The dehydrated veal fibers convey a meaty intensity that belies their wispy appearance quite reminiscent Chinese rou song. The creamy soup was an interesting blend of cabbage and horseradish though I found the texture a bit too in your face when coupled with the tiny strands of veal. The final savory was built around a squab breast that was sous vided and then pan roasted giving it both a sublimely lithe and delicate texture and wonderfully rich savor. 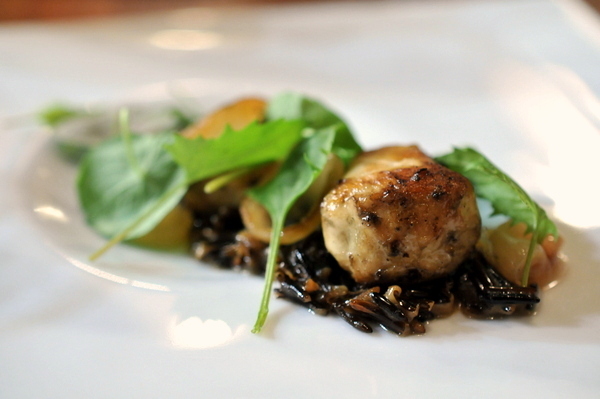 Beneath the bird lurked a "dirty rice" made from rice and pigeon offal that was predictably rich and livery. The orange and licorice pair add some restraint though I wouldn't have minded enjoying the full flavor of the pigeon and its guts. The cheese course was a lovely study in contrasts there is the grassy game tinged astringency with the creamy fatty texture of the whipped goat curds. 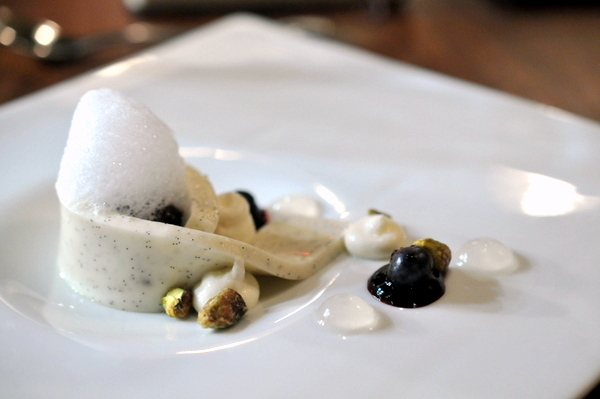 Pastry Chef Giane Cavaliere opted to ease into the dessert courses with this airy treat. 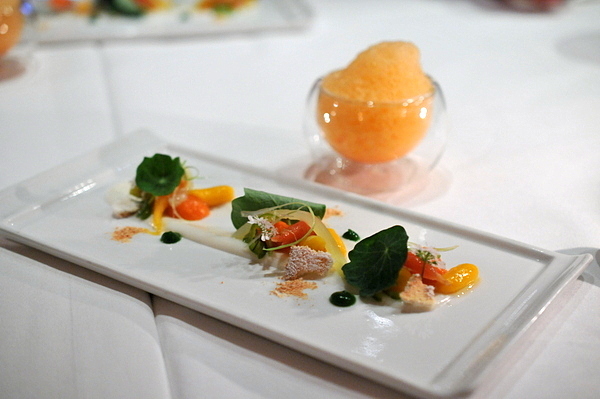 The cucumber brings a fresh vegetal tinge that restrains the tropical notes of the pineapple and coconut while drops of lemon gel further brighten the dish. The combination of blueberry compote and vanilla panna cotta are natural compliments that together reminded me of a ripe fruit tart filling. Initially a rather sweet and one dimensional dessert, the hidden element of lime add a sudden rush of countervailing acidity. 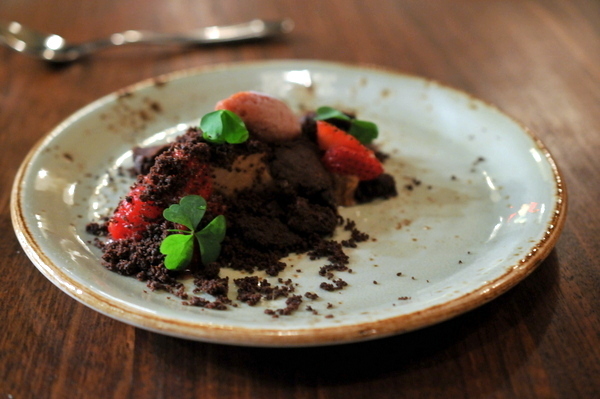 This was my favorite dessert of the trio with a rich base of chocolate complimented by vividly ripe berries and the fragrant tang of the balsamic. 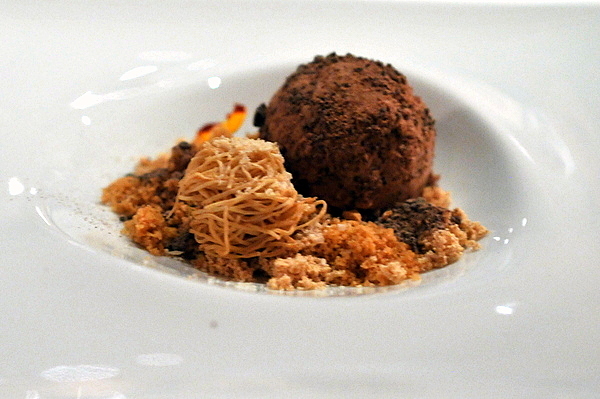 A heavy dusting of chocolate crumbles adds a nice sensation of crunch to the mix well. 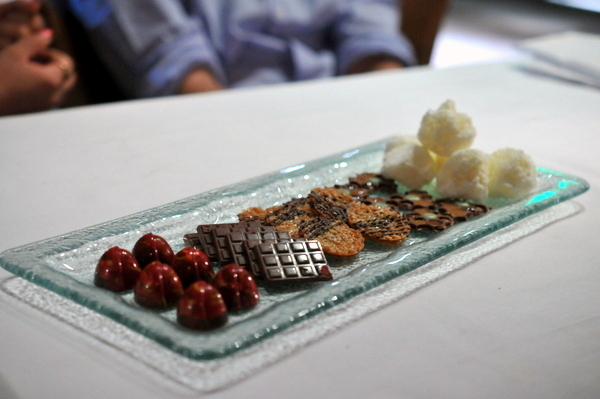 As always a quintet of bonbons ends the meal. This time around the mix consisted of: guava shortbread, coconut white chocolate, orange dark chocolate, peanut fudge, and a cassis pâte de fruit. This being my one splurge of the entire trip I decided to end things with an extra cocktail. This was a classically done Sazerac with expressive aromas of lemon oil and herbal licorice overtones tempering the heat of the rye. 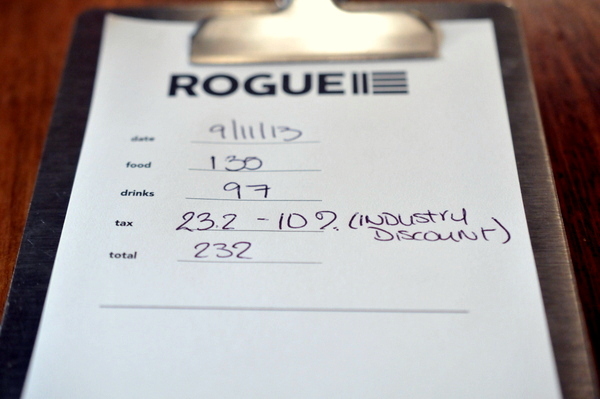 My second trip to Rogue 24 was pretty much all I could have hoped for. 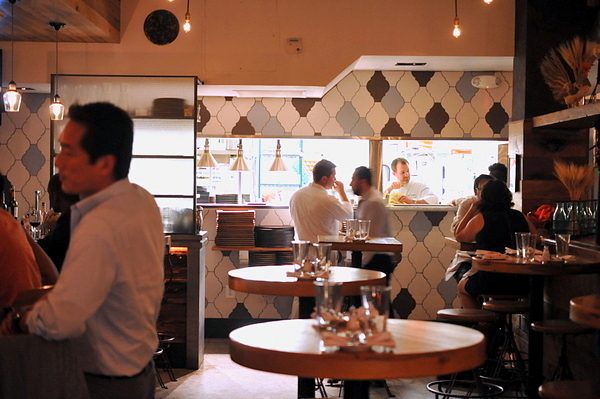 The menu was drastically different from my previous visit but still showed the intricacies, finesse, and ambition that I remember from my first visit. 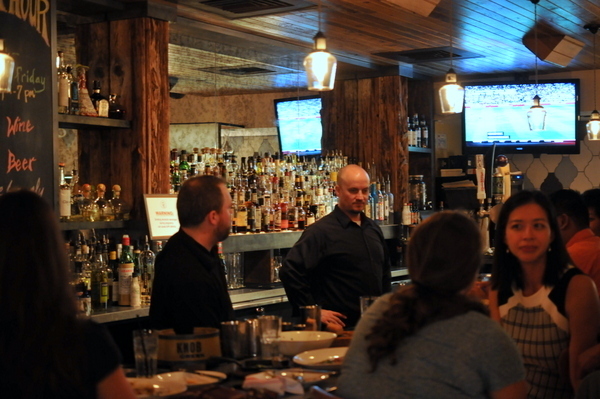 Situated in Adams Morgan, a neighborhood more known for its bars and night life than its restaurants, Mintwood Place might mark the change to a more serious dining scene. 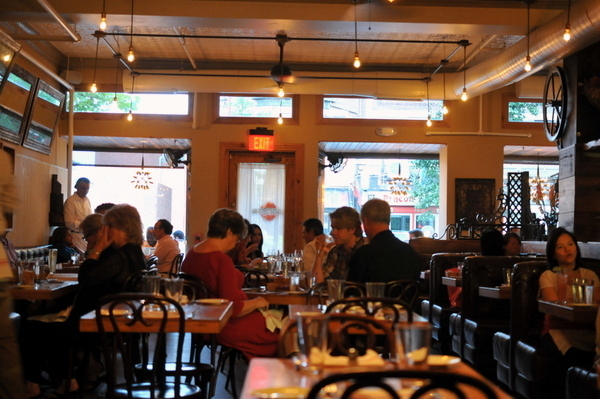 Owners Saied Azali and John Cidre brought in Executive Chef Cedric Maupillier to helm the kitchen. The French-born Maupillier started his career at the age of 15 at a bakery in Toulon. After moving between jobs in England and France he made his way to the DC area in 2002 to work at the now-defunct Maestro at the Ritz Carlton in Tyson's Corner. From there he joined Chef Michel Richard at Citronelle before helping him open Central in 2007. Given that Citronelle is one of my favorite restaurants in the city I was excited to see what a long standing alum like Maupillier would be doing at his own place. 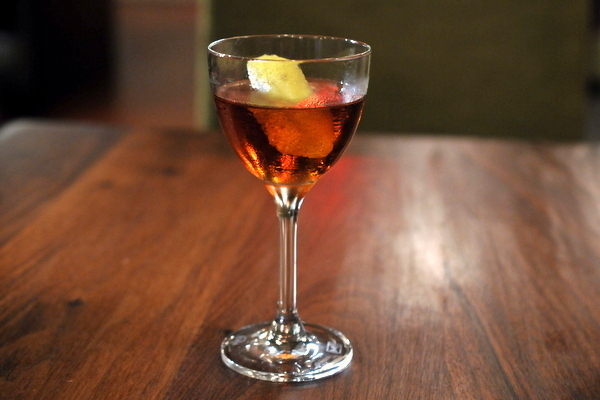 I don't normally go for Manhattans but the woody heft of the rye coupled is threaded with austere herbal overtones that deftly restrain the sweeter cherry flavors of the Kirschwasser. 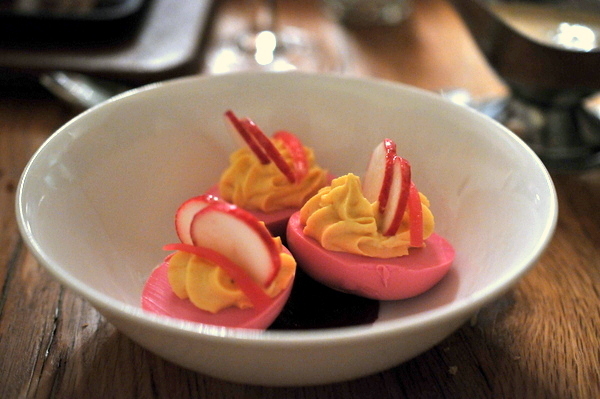 Disconcertingly vivid pink color aside, these were pretty classic deviled eggs tinged with a bit of acidity and a nice contrast between the creamy egg and bitter radish. 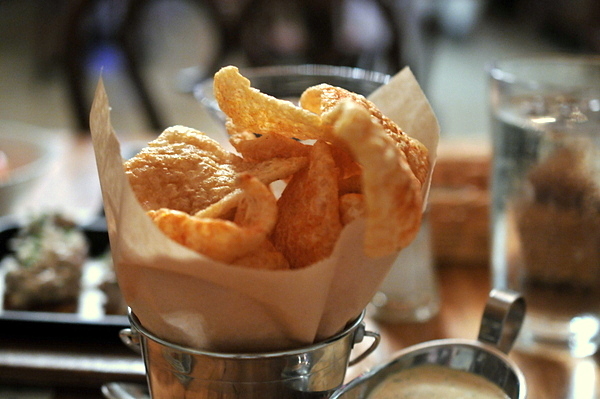 The cracklin's were some of the best that I've had in a long time. Instead of the dense over-hard texture these were airy and light but still loaded with porcine savor along with a growing spice. The saltiness got a bit wearying over time but this would have been great to share with a group. This was probably my favorite course of the night. 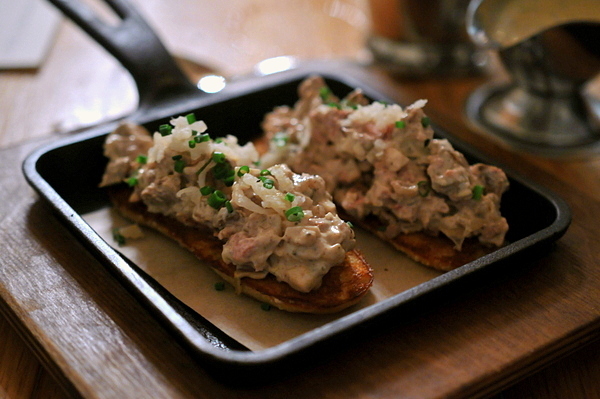 The dense rustic toast is coated with a lush creamy layer of rich iron-laced chicken liver that picked up a light sweetness upon mastication. The Garden Preservation certainly lived up to its name, the drink has a bitter celery tinged savor to it, perhaps due to the Botanist gin, a new artisan gin made by Islay-based distiller Bruinladdich or a strange confluence of the flavors with the cucumber and basil. Still quite refreshing but I would have liked the fruit to show a bit more. I selected the above cocktail to pair specifically with this course. 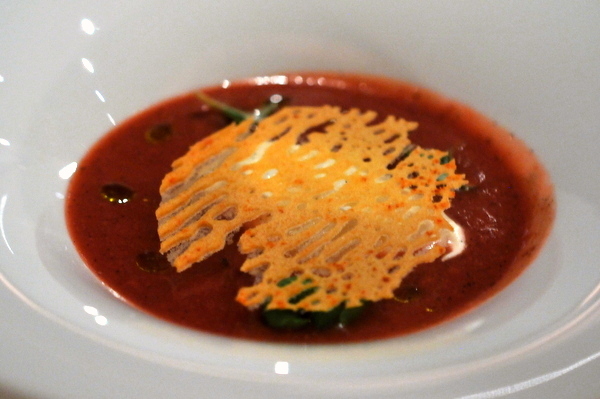 The bright bracing gazpacho gives off a piercing astringency that is nicely complimented by the saline sweetness of the crab. 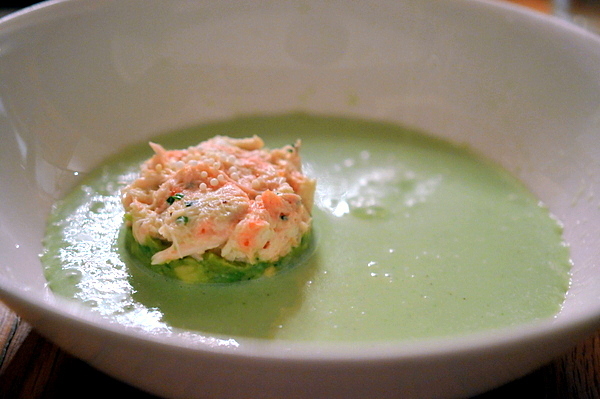 The below the crab lies a base of avocado chunks that add a pleasing creamy thickness. I've never been a big fan of eggplant or kalamata olives but the promise of a fine wood-grilled octopus was too enticing to pass up. The mixture came doused in a hearty bath of spicy tomato with a smoky cast from the eggplant and earthy twang from the olives. 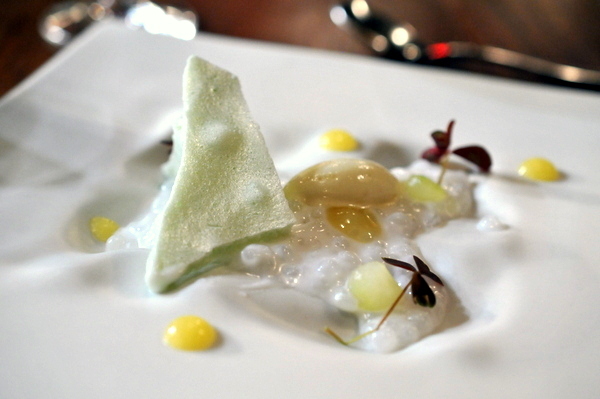 The flavors worked well but I would have liked the octopus to show a bit more prominently. 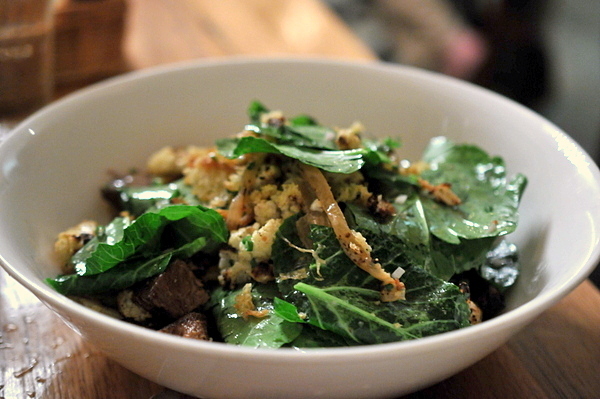 The final course was a salad of crisp bitter greens mixed with big chunks of meaty but overcooked calf heart. Beyond the technical faults, the salad lacked cohesiveness perhaps a bit of acid or spice would have tied things together better. Dessert was simple homey and enjoyable. The croustade consisted of a sugary buttery crust with warm ripe fruit topped with a sweet confection of honey laced nougat ice cream. 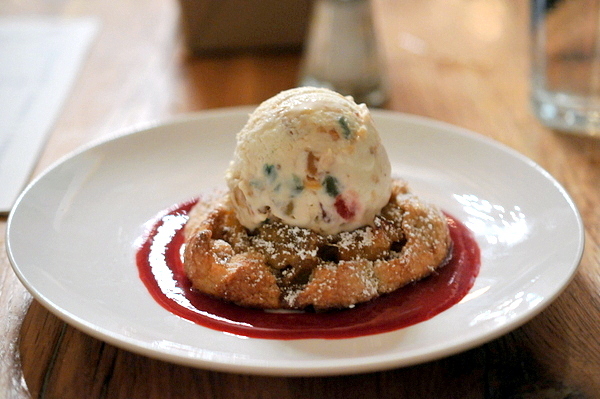 A base of jammy strawberry puree adds a lively acidity to balance all the sweetness from the tart and ice cream. I can see parallels to the food at Central but Maupillier seems to have traded sophistication and polish for rusticity. I left with mixed feelings about Mintwood Place; while the cocktails and snacks were largely solid as was the gazpacho but the both the octopus and beef heart both felt incomplete to me. Overall I'd consider the restaurant a work in progress but given the lack of serious competition in the area I suspect they'll do just fine. 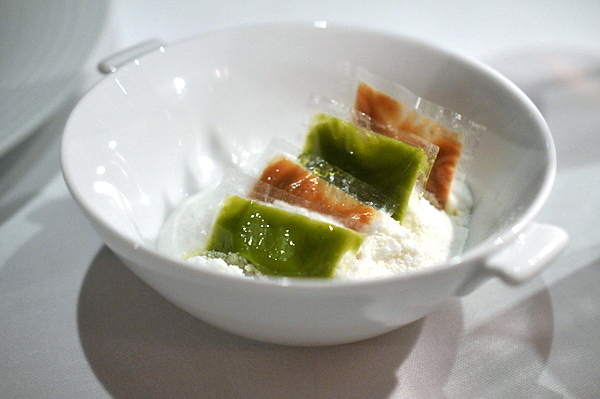 When The Bazaar first opened in 2008, it was my first opportunity to taste modernist cooking (molecular gastronomy). Though I was disappointed with my first experience, subsequent trips have shown consistent improvement and when Saam opened it took things to another level. 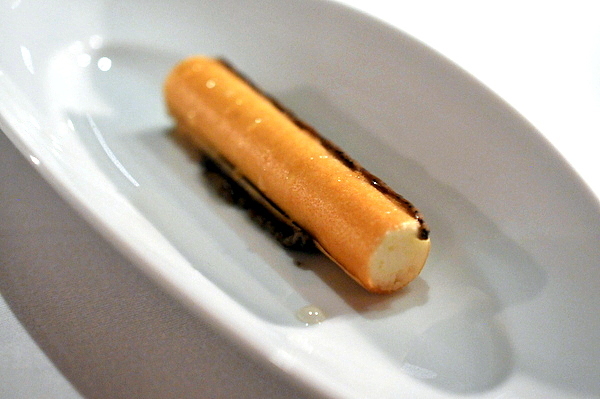 My first meal in the secret room came back when it first opened in 2008 and again 8 months later; since then I've been to both of Josè Andrés' other "secret" restaurants minibar and é and I was curious how Saam would hold up against them. 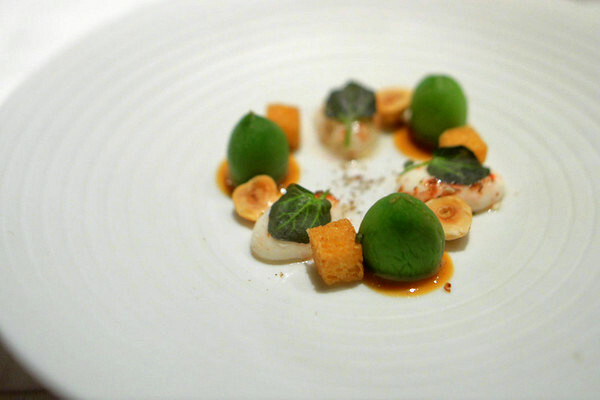 A whimsical bite, the peanut is a sugar shell around praline and Thai curry. A bit of citrus and spice coupled with the sweetness of coconut are all on top of a the creamy peanut-y base. Moving on we were presented with "ravioli" of pistachio and pine nut wrapped in rice paper. The plastic looking wrapper dissolves on the tongue releasing the nutty bounty. The yogurt powder adds a contrasting twang to the flavor of the nuts. Made from rice crackers filled with cream and dotted with basil flowers, the Parmesan pie packs a powerfully cheesy flavor profile in a crisp airy shell. This was one of the highlights of the early snacks. 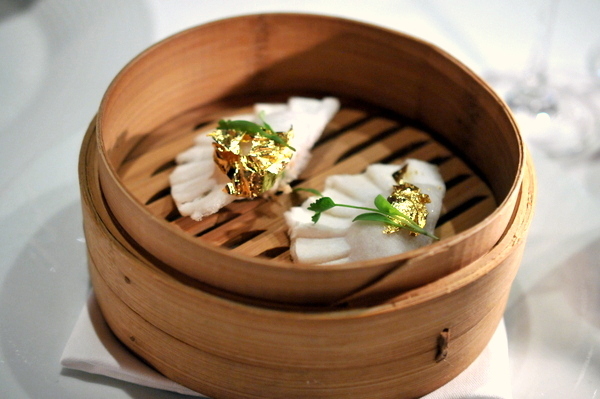 Chicharrón and hoisin are wrapped in a "dumpling" of cotton candy. After getting past the initial sweetness of the cotton candy there is an equally ephemeral and profound savor tinged with an herbal flourish from the micro-cilantro. While I can appreciate the complexity needed to transform a oily and fatty slice of Ibèrico into a dry crumbly cracker the loss of the meat's lush mouthfeel and inherent savor was too great a price to pay. Ibèrico is one of the most prized hams in the world so I can't fathom why anyone would want to strip away everything that makes it so beloved. This was my favorite of the small bites. The dainty looking Luna Oyster packs a hefty saline punch augmented deftly with the concentrated savor of the Jamon cream. A twinge of spice and a toasty morsel of air bread round out this tiny yet powerful dish. This reminded me of a course I had at my last visit to è in Las Vegas. The sweetness of the honey coupled with the heady black truffle dominate at the start but a growing fishy savor on the finish from the cod espuma. 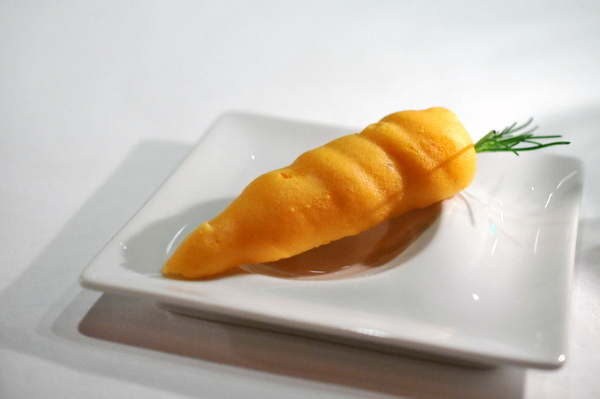 I was surprised to see back-to-back carrot dishes though I found this one a big improvement over its predecessor. The fermented carrots bring a bright acidity that contrasts sharply with the weighty sweetness of the coconut-cauliflower. The carrot air brought with it the aroma of fresh carrots which I didn't think added much to the dish. 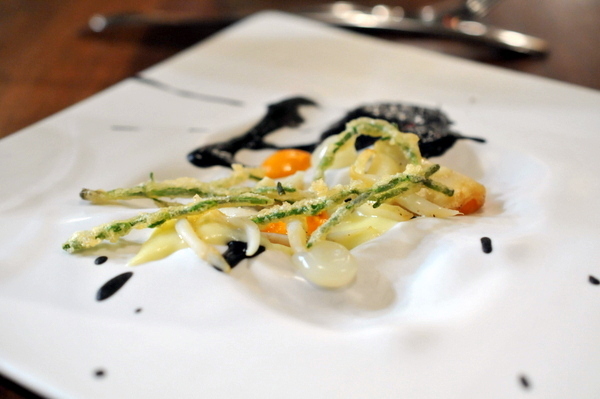 This dish is Greek for mullet roe, more commonly known by its Italian name bottarga. The salty depth of the mullet roe spreads across the accompanying burrata making for a deliciously creamy salty filling for the doughy bread. Despite its dainty appearance this tiny morsel packs as much smoky-sweet flavor as any rib you've ever tasted. 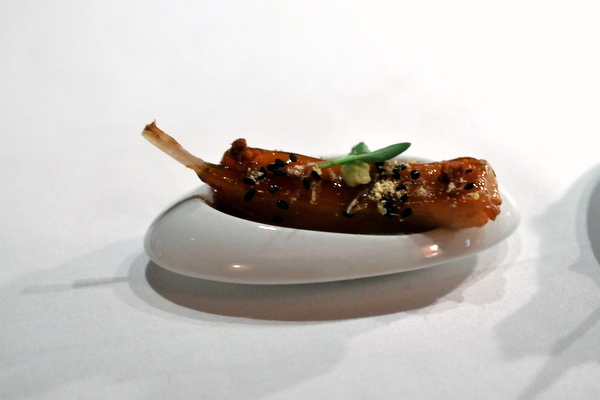 The kampachi rib has a uniquely gummy texture a fantastically rich and oily base for the teriyaki and red curry with a slight citrus twang on the finish. One part toy one part cocktail this palate cleanser played to everyone's inner child. 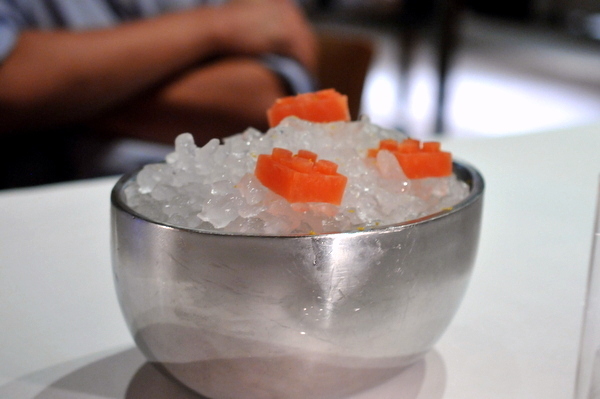 Shaped like a Lego block, this frozen treat was a bracing and bitter mixture of orange and campari. Who says you can't play with your food? This dish was one of the most impressive in terms of technique for me. 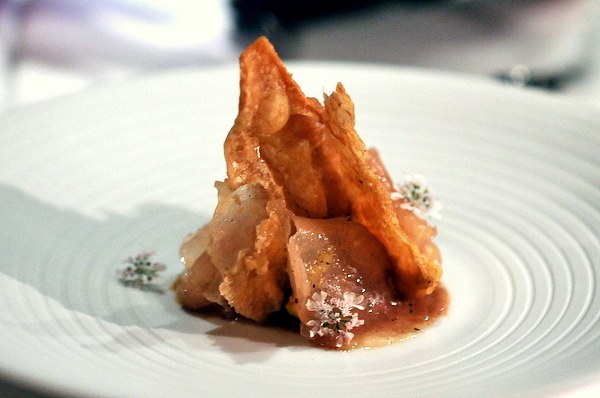 The chicken was cured for 8-hours giving it a raw-fish like translucency and a uniquely gellied texture. The figs were a bit heavy handed but they went well with the robust salinity of the chicken as well as the savor of the chicken skin crisp. 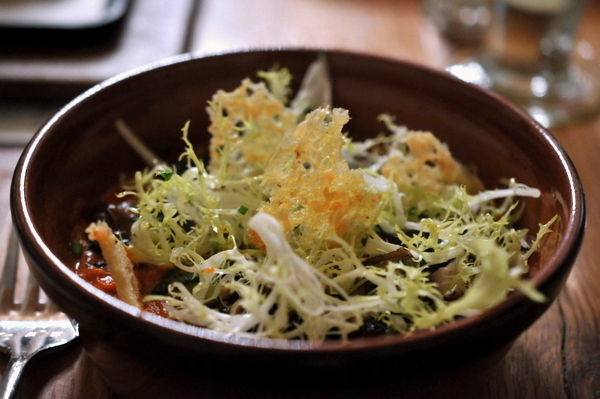 I had a similar dish during my previous visit to é. 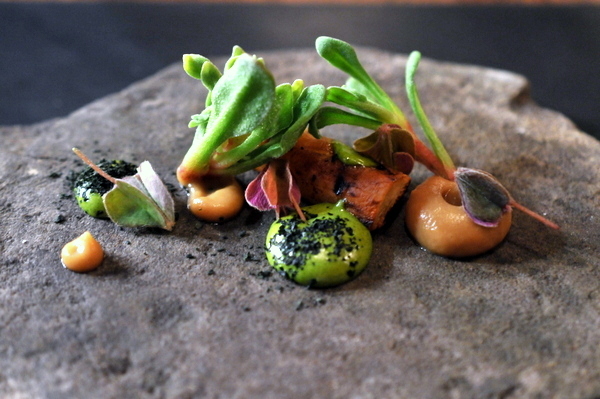 This is what I want when I see Jamòn unabashedly intense umami to the point of being pungent. The cream of ham pairs beautifully with the simple starchy heft of the garbanzo spheres. Garlic blossoms dot the duo of ivory creams bringing a hearty garlicky flavor to the mix. I initially assumed this was some sort of Thousand Year Egg. 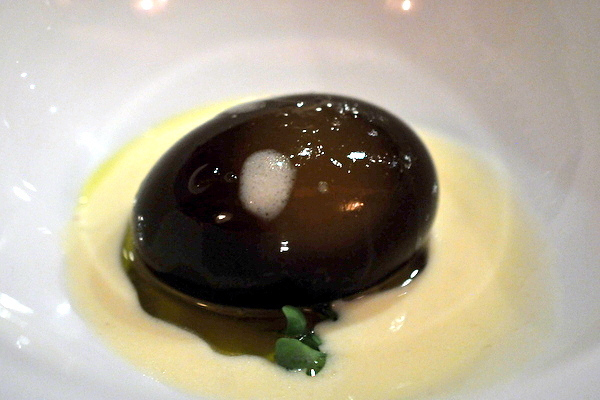 Though the dish featured a sous vided egg yolk, the "white" was actually a black truffle gelatin served with a bath of heady carbonara sauce. The result is a combination of creamy smoky wonder tinged with a luxuriously truffled musk. Beautiful golden chanterelles are paired with equally prized chicken oysters. Despite the rarefied ingredients, the flavor was decidedly familiar; hearty and reminiscent of a Chinese-style stir fried chicken. I had high hopes for the langoustine and though the rest of the table seemed to enjoy theirs mine was hard to pull out of the shell a sure sign that it wasn't alive when it was cooked. 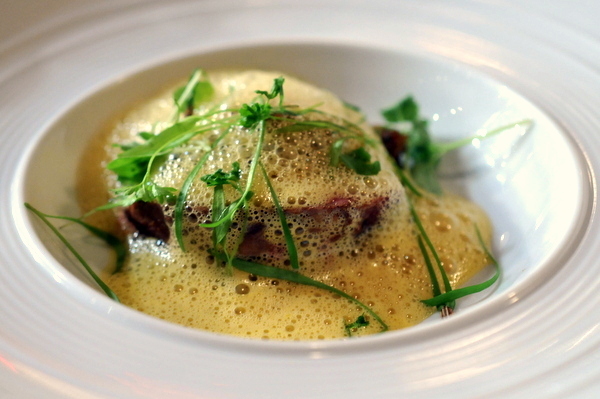 The meat still had a nicely concentrated salinity that worked well with the starchy heft of the potato espuma. The tentacle was off-putting to some in our group but I quite enjoyed the presentation. 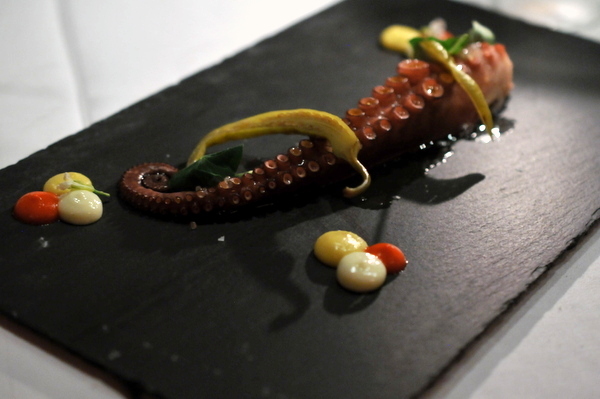 The octopus was paired with piquillo pepper corn and nasturtium accompanying the tentacle. When taken with the accompaniments there is a lovely herbal smokiness but there was far too much octopus which resulted in bite after bite of tender-but bland mollusk. Despite its simplicity, this was still one of the night the dense muscular fish has a buttery savor heightened by the umami of the crispy pancetta wrapping. 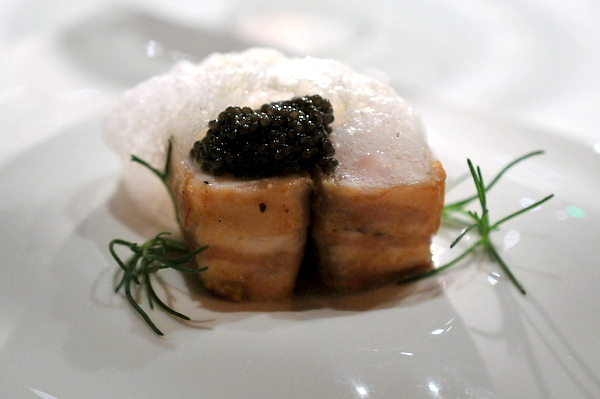 A dollop of nutty caviar adds even more savor and salinity to the fish. Our final savory consisted of a savory sous vided lamb shank done up with Mediterranean flair thanks to the eggplant and yogurt. 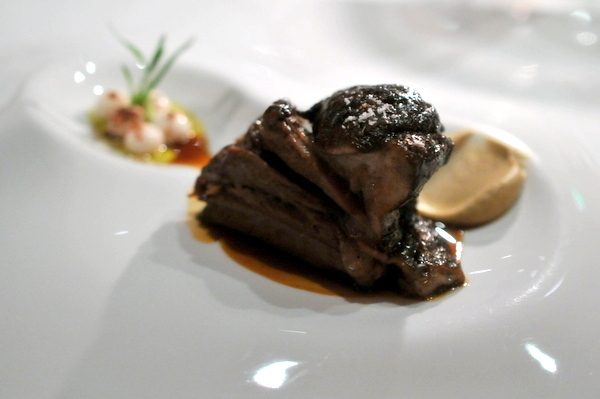 The lamb exhibited a lusty gamy flavor that paired nicely with the twang of the yogurt and smoky heft of the eggplant. Though not part of the Saam menu, multiple people in our party insisted that we add it. 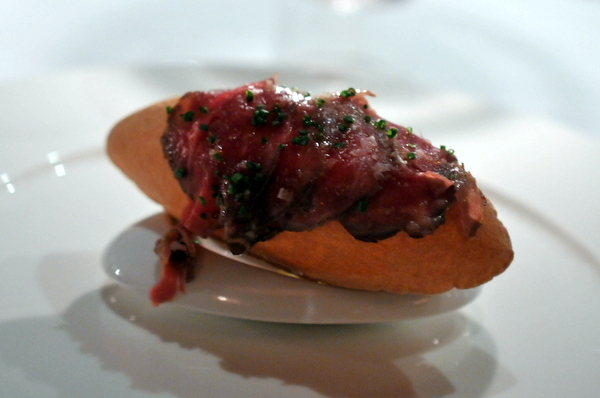 Beneath the lightly seared beef is a hollow football shaped "bread" that is then filled with cheese. I've ordered this almost every time I've been to Saam or the Bazaar and this was the weakest one yet. The flavor was just as I remembered it but the execution left much to be desired. The cheese wasn't balanced throughout which resulted in the air bread collapsing when I bit into it. The cheese then flowed over my hand and dripped onto the plate, such a waste of good cheese. 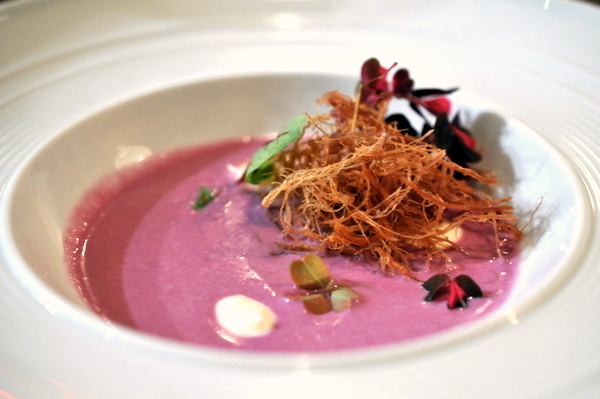 The jammy strawberry potage is coupled with tangy lime which made for a very refreshing and satisfying early dessert. 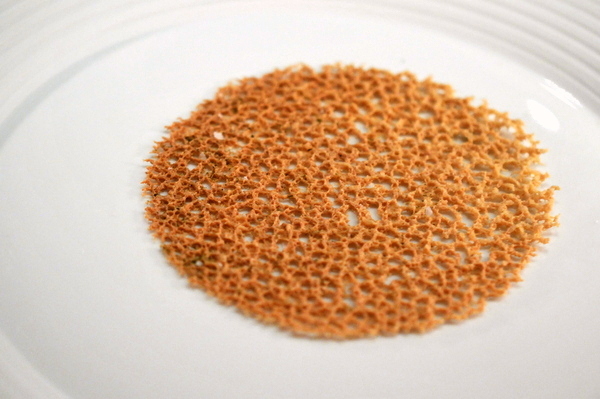 This dish derived its name from the crunchy phyllo "tumbleweed." Marrying exotic chocolate-cardamom with dehydrated cherries drive this dish a simultaneous melange of bitter-sweet ice cream and tart ripe cherries. A lovely interpretation of the classic pairing chocolate and orange the dessert had a decadent chocolate cremeaux with a bright citrus flourish. 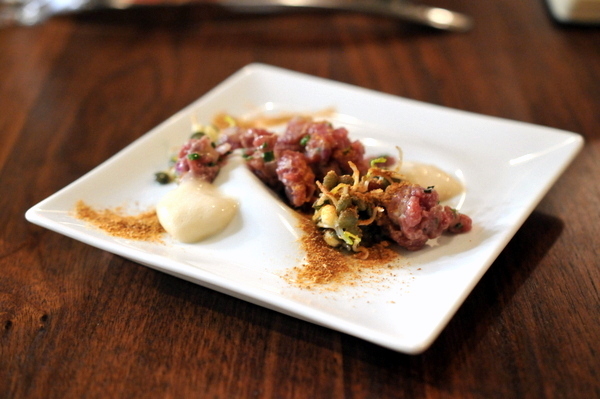 Accents of pistachio and yogurt add extra nuance but aren't really necessary. 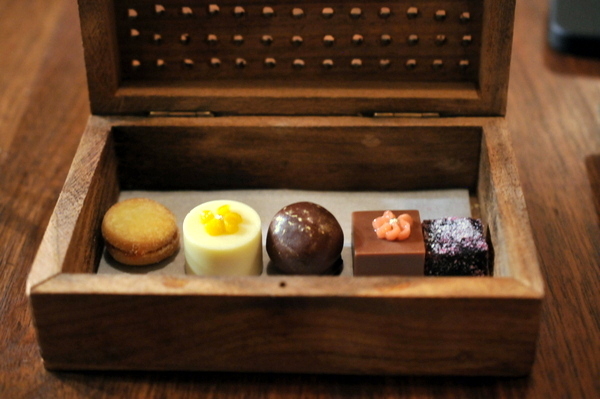 The meal ended with a selection of treats from the Bazaar's Patisserie. My favorite was the white chocolate air which started off with a crumbly powdery texture that gelled into a warm sweet creamy treat on the finish. 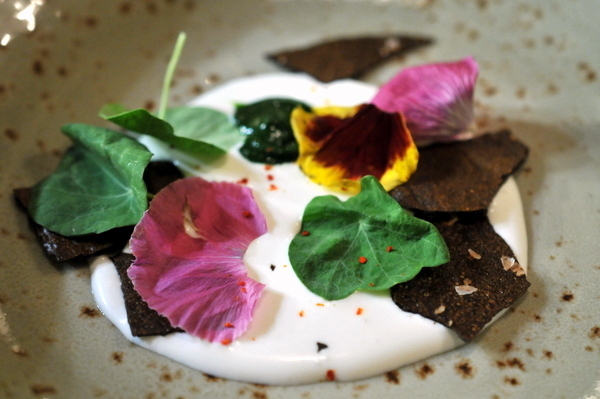 When I first visited Saam, it was more of a "best of" The Bazaar rather than an independent tasting experience. 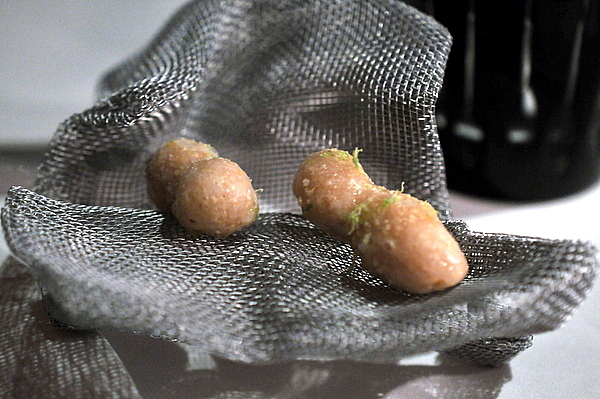 My latest experience was more akin to minibar or é; dinner theater showcasing a plethora of molecular-inflected culinary techniques. 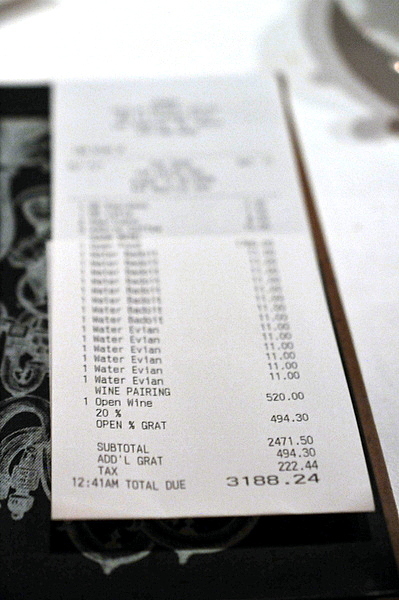 Unfortunately I found this to be the weakest of Josè Andrés' restaurants in a restaurant. While writing the blog I was able to pause and appreciate what the restaurant was trying to accomplish but in the moment I left disappointed and I wasn't the only one in my party to feel that way.